Our stylish collection Vinyl and PVC blinds is the perfect blend of practicality and style. 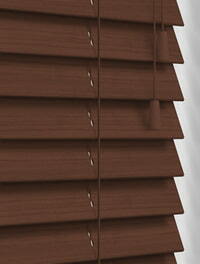 They’re waterproof, easy to clean and allow you to precisely control light and privacy at the windows. With such a wide choice of beautiful colours and designs there is something to compliment any rooms décor. Choose from our wide range of luxury custom-made PVC wooden blinds, PVC roller blinds and PVC vertical blinds and find the ideal look for your homes décor. PVC and vinyl window blinds are ideally suited to moist and humid environments such as the bathroom, kitchen, shower room and wet rooms, or any room where water and condensation are likely to be present. They are easily wipeable and washable, simply wipe them down with a cloth after use to keep them looking as good as they did the day you purchased them. They are both easy to install and a versatile way to control the amount of light and privacy you require at the window. 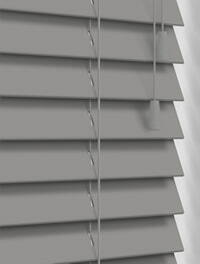 They are not just water resistant but also blackout giving you an even greater degree of sunlight control, making them both an attractive and practical window blind. Our luxurious collection of Easiwipe PVC and vinyl blinds is the perfect choice for waterproof bathroom and kitchen blinds and will bring fabulous styling and practicality to the windows in the most elegant way. Here at English Blinds we manufacture all of our made to measure water resistant vinyl and PVC window blinds in-house using only high quality fabrics and components and supply them direct throughout the UK at discount online prices. They are available in a beautiful range of PVC fabric colours, wooden effect grains and textures as well as some colourful and funky floral fabrics, contemporary patterned designs, marble effect and mould resistant fabrics.